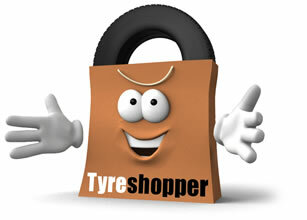 Find your Perfect Budget tyres with Tyre Shopper! Find your perfect Budget tyres through Tyre Shopper! Budget doesn’t always mean bad! Budget tyres can be a great choice if you have low annual mileage and stick to main roads rather than motorways, providing excellent value for money. We stock top budget tyres from brands including Aoteli, Rovelo, Autogreen, and much more. All of the tyres that we sell are certified for UK and EU use and carry the ECE symbol, which indicates that the tyre manufacturer meets all of the relevant quality and conformity standards. The ECE symbol is recognisable as an ‘E’ inside a rectangle or circle on the side of your tyre. While budget tyres might not offer the same level of handling that you could get from high quality performance tyres, they’re perfect for if you need a tyre replacing quickly, are buying for a second car that you don’t use often, or only tend to make short journeys. Find and buy the perfect budget tyres for your car today by entering your registration number or tyre size or read more budget tyre information on our blog!